DefensiveDriving.com is dedicated to finding a solution for the dangerous problem that is distracted driving and, in particular, phone use while driving. The Red Thumb Reminder campaign is one effective solution to this problem. The concept is that, by painting your thumbnail red, you are not only spreading awareness of the fight against distracted driving, but giving yourself a helpful reminder any time you get into your car and might be tempted to pick up your phone. So with this in mind, we sent a few members of our team to downtown Houston, to recruit members to our cause. And people embraced it through pledging their support, painting their nails red and posting the pictures online. 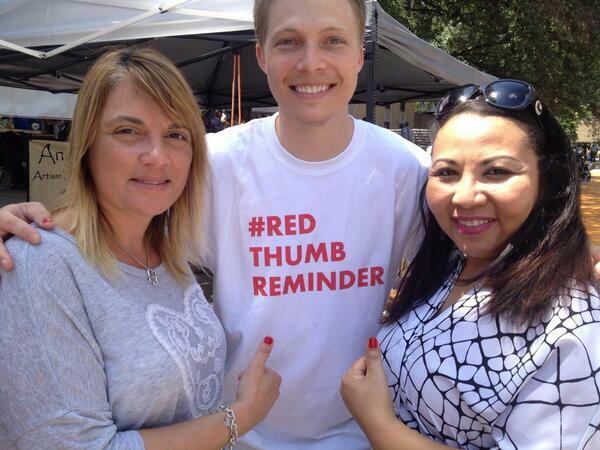 Check out the video to see the movement in action and post your own picture with #redthumbreminder!